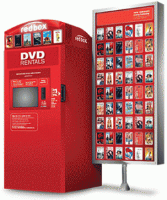 Right now you can get a FREE Redbox DVD Rental at Publix Stores! All you have to do is text MARKET to 727272 to get a code! This offer expires 10/11 and is ONLY available at Publix stores!